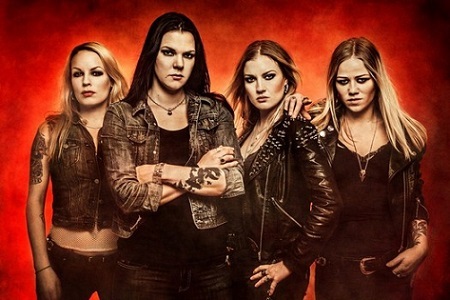 Scandinavia’s leading all-lady hard rock/heavy metal outfit CRUCIFIED BARBARA has teamed up newly established microbrewery Heavy Metale Brewery AB, to launch the band’s own beer. First up is a cocky and loud Red Ale, inspired by the band’s new and acclaimed album In the Red. The beer will be available early next year in Sweden’s Systembolagen.